After letting Toyota dominate the U.S. hybrid market for the last decade or so, Honda is finally striking back with their new Insight, announced in concept form last week before its official unveiling October 2nd at the Paris Auto Show. 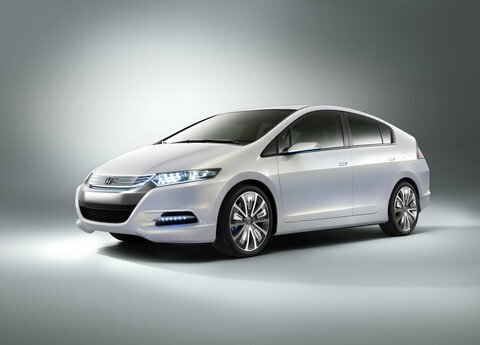 Honda says the Insight will go on sale on Earth Day 2009 (that’s April 22, for those of you with last names other than Gore). More importantly, they say it will be priced significantly cheaper than other hybrid cars on the market today, thanks in part due to revised (i.e. cheaper) hybrid technology. 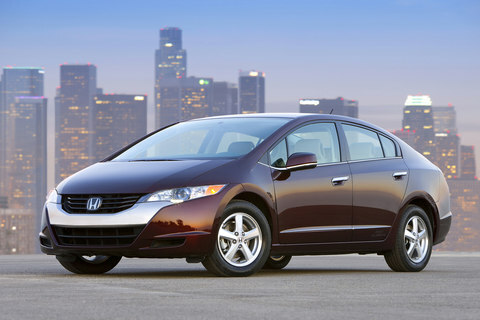 This isn’t Honda’s first foray into the hybrid market; it already sells the Civic Hybrid here, and the last generation Accord featured a hybrid model that nonsensically strapped a tiny electric motor to the larger V-6 engine. 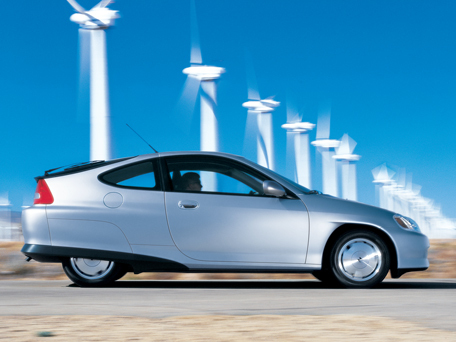 From 1999 to 2006, however, the company also sold the first-generation Insight, a tiny two-seater that could get 70 miles per gallon, far better than the first generation of Toyota Prius it was competing with; however, the Insight never sold as well as the Prius – partly because the Prius had twice as many seats, and party because the Insight looked like the top half of a Viagra capsule. When Bob Dole sits in his Insight, he gets half an erection. Judging by the looks of the car, it’s pretty obvious Honda’s hoping to steal some Prius buyers by making it so hard for them to tell the cars apart they’ll climb into an Insight by accident and find themselves impressed with the fit and finish. I’m sort of disappointed by the looks of it, to be honest; Honda had a chance to make a car that was cheaper and better looking than its competitor, but chose to go the conservative route. 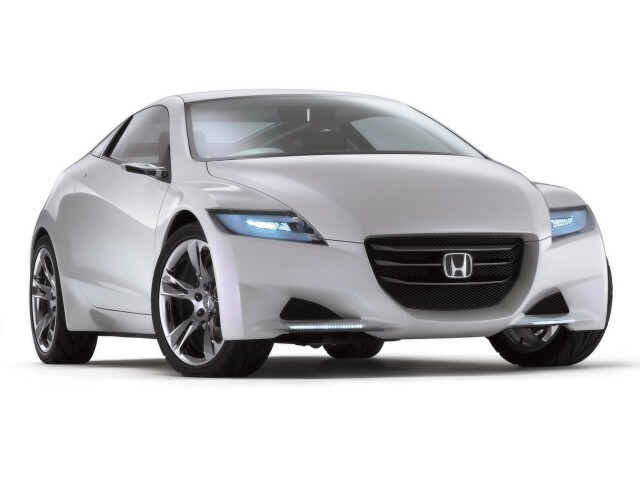 It’s especially sad considering Honda claims the Insight’s styling was inspired by the hydrogen-powered FCX Clarity sedan (a car harder to get into than Jessica Biel’s pants), which happens to look much, much better. Not Jessica Biel. Best I could do. Car and Driver estimates the Insight will go on sale for around $19,000, undercutting the Prius by three grand or so; it wouldn’t surprise me if they manage to bring the price down a little lower than that, even. Honda modestly hopes to sell 200,000 of them a year, half of that in North America, but don’t be surprised if they manage to sell quite a few more – especially if the production version looks a little more streamlined, and if it keeps some of the driving fun that makes Honda the poor man’s BMW. 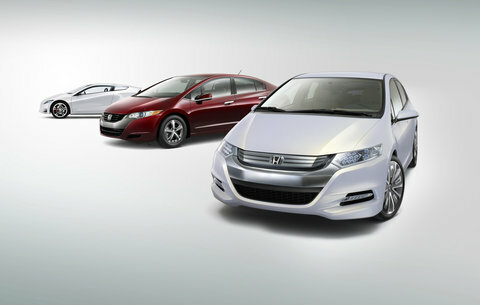 Welcome back to the serious hybrid game, Honda. Now how about that CR-Z?